Archaeologists from ULAS have recently excavated a late Roman cemetery at Western Road in Leicester’s West End. Amongst the eighty-three skeletons recorded by the team, one burial is proving to be very exciting. The grave of Skeleton 23, thought to be a late Roman soldier or civil servant. The belt buckle was found next to the right hip. The late Roman belt set found with Skeleton 23, comprising a belt buckle, belt plate and strap end. 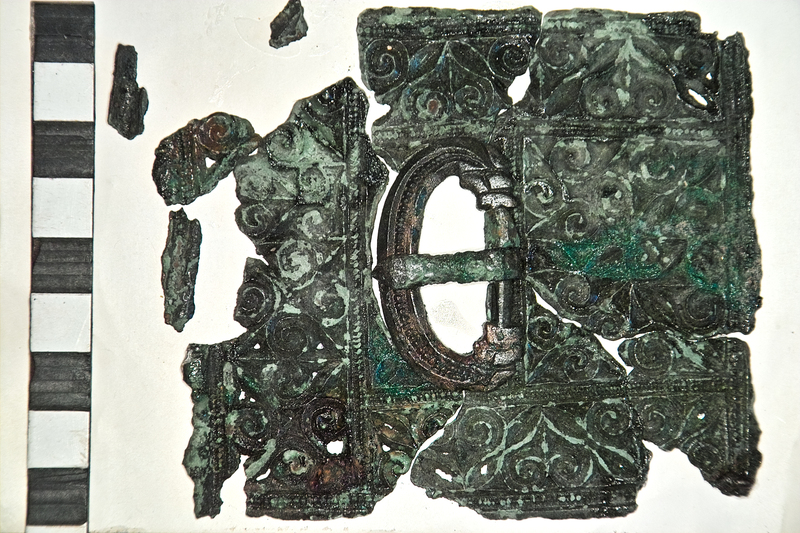 Parallels for this belt set have been found in other late Roman cemeteries, for example in London, Dorchester on Thames and Winchester, and at the shore fort on the opposite side of the English Channel at Oudenburg in Belgium. Research shows that these belts were worn across north-eastern France, Belgium, and along the eastern frontier of the Roman Empire, running along the Rivers Rhine and Danube, where soldiers were stationed. 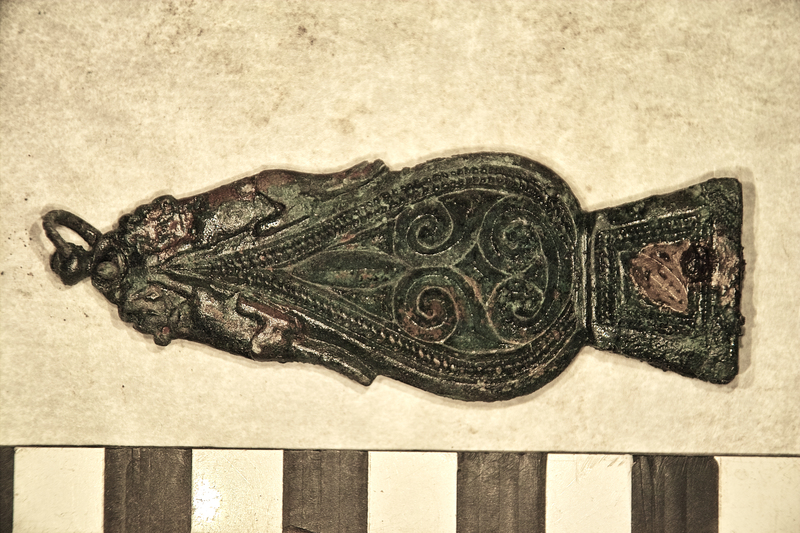 There is some contemporary pictorial evidence to suggest that this type, specifically, was worn by members of the Late Roman military and civilian elite and that the belts were important symbols of authority. 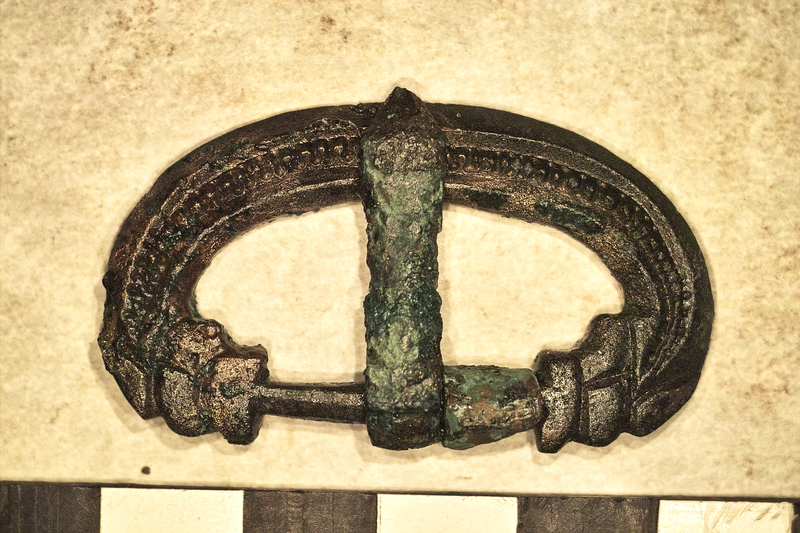 The bronze belt plate is cast in the so-called ‘chip-carved’ style and would have been riveted to a wide leather belt or girdle with a thinner securing strap running through the buckle and ending with the strap end. 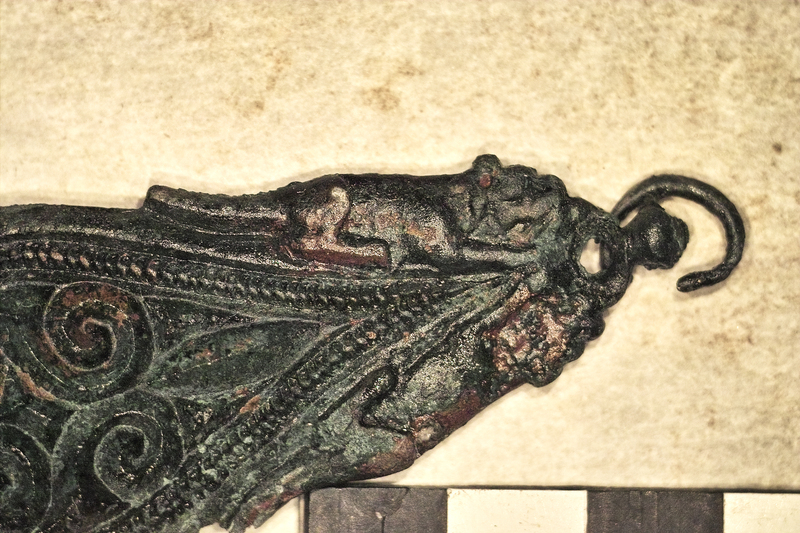 The strap end is decorated with crouching dogs on either side of its tapered end. The belt buckle is decorated with dolphin heads. 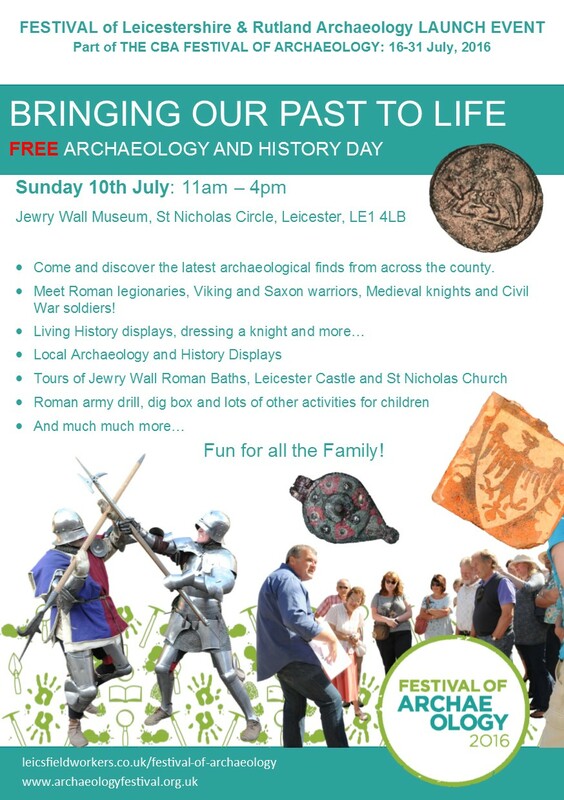 The belt buckle and other finds from the excavation will be on display this Sunday 10th July at ‘Bringing Our Past To Life’, an exciting family friendly heritage day at Jewry Wall Museum, Leicester (11am-4pm). For more information on the event click here.